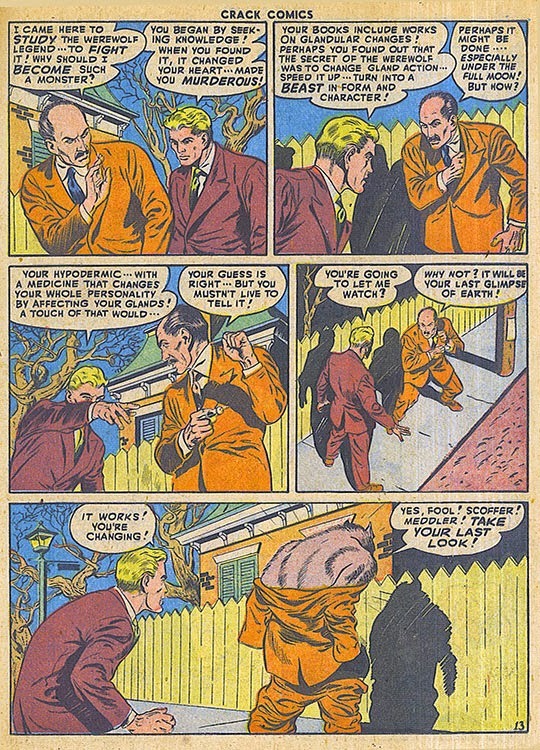 Lost and stranded in a small town, Lance Gallant and his friends encounter superstitious townsfolk who claim a werewolf stalks the nighttime streets! 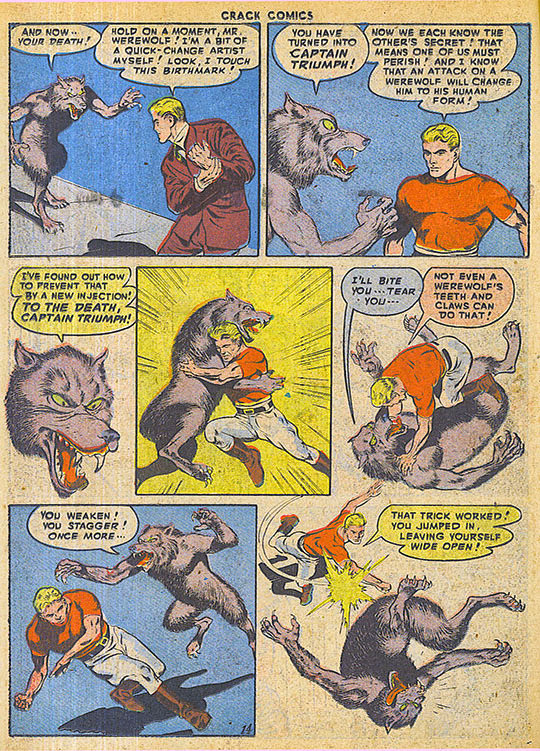 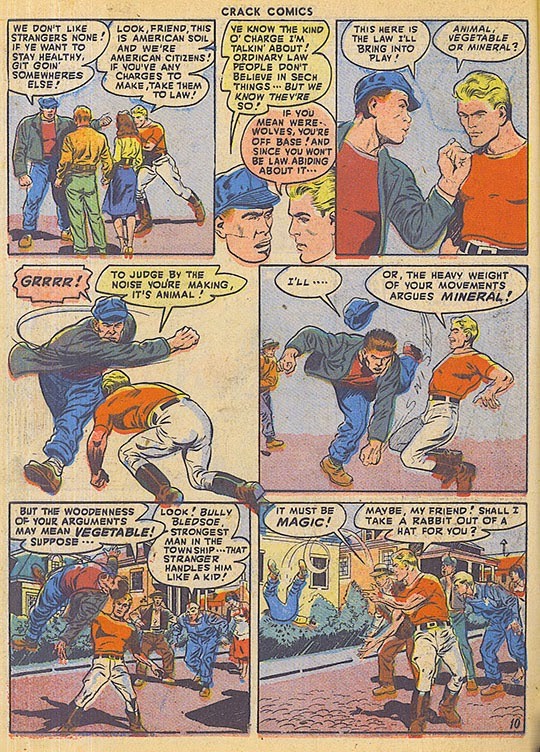 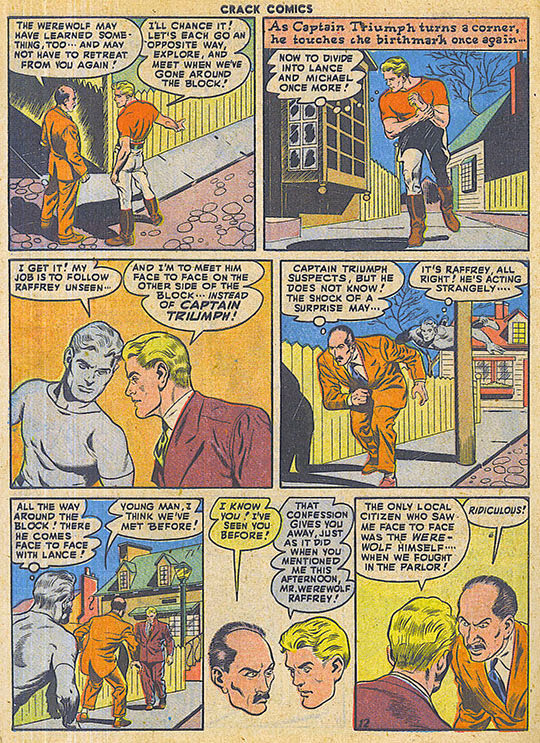 It turns out there is a lycanthrope, and only Lance's super-powered alter-ego, Captain Triumph, saves his friends from being shredded by the inhumanly-strong furry fiend, who escapes into the night! 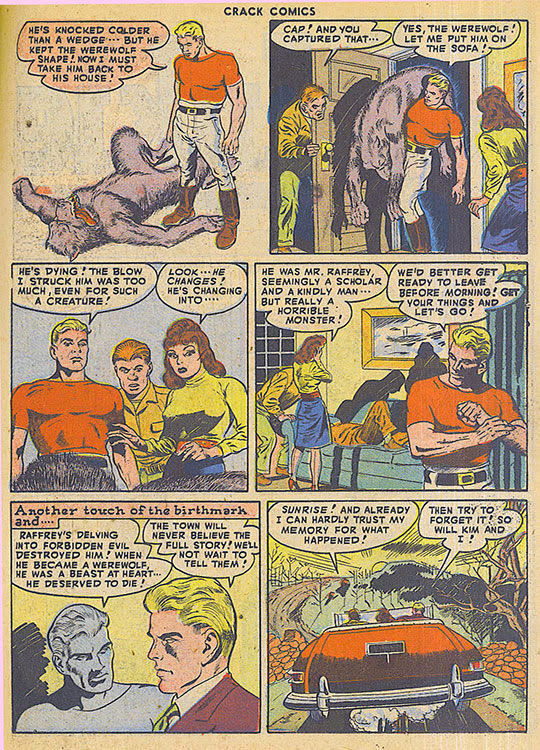 They also meet Rafferty, an expert in lycanthropy, whose arrival in the town a year ago coincided with the werewolf's appearance. 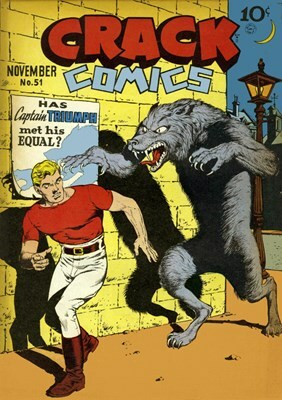 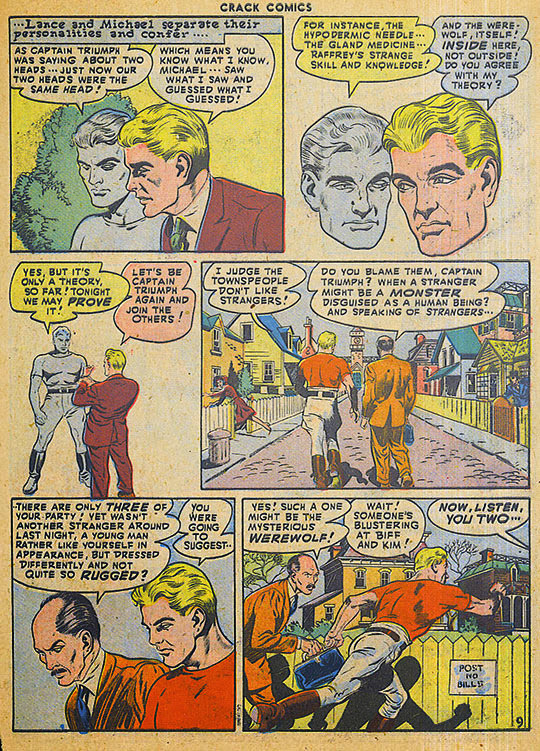 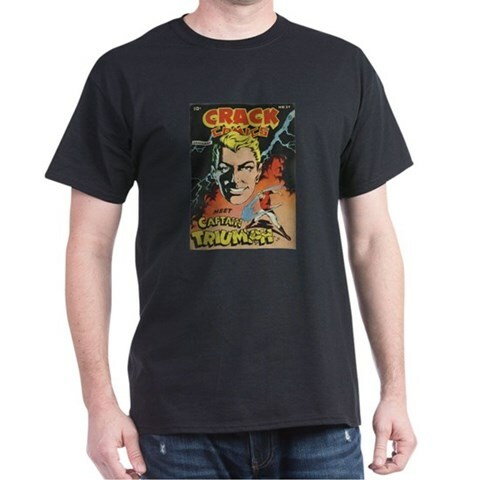 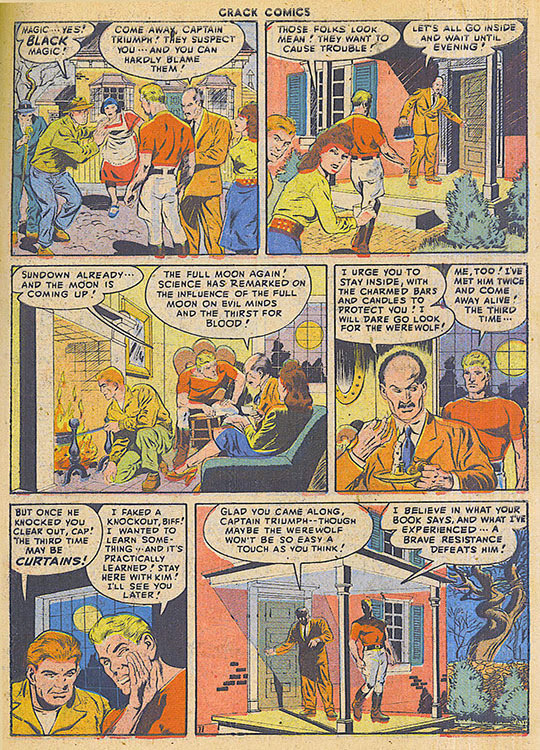 Curiously, though the Captain Triumph character himself is supernatural-based, the werewolf in the story is a creation of science run amok and belief in the unseen is mocked as mere superstition!